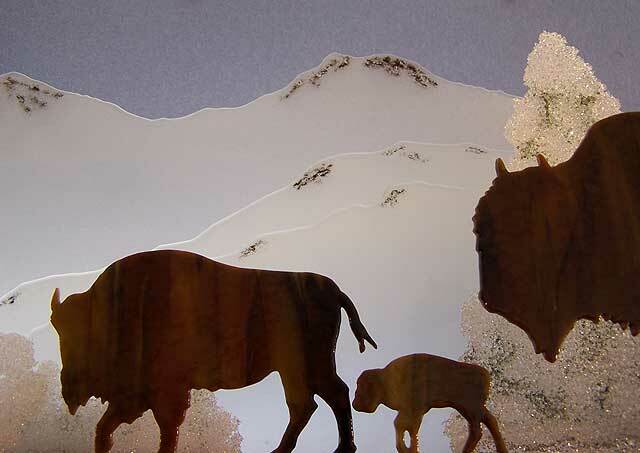 Whether it's geology, ecology, or just the survival of the fittest, winter in Yellowstone is a standoff of natural forces. 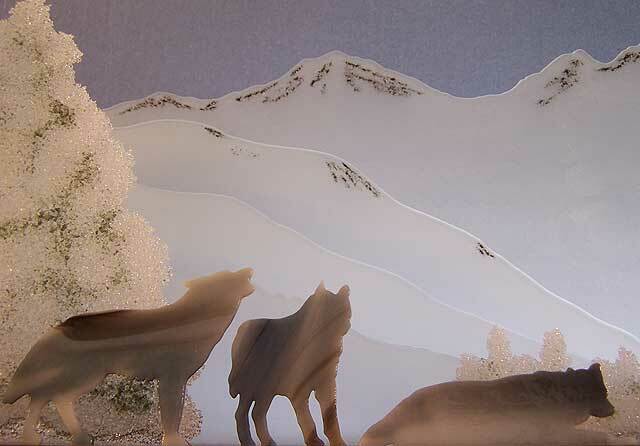 Using both sheet and frit forms of art glass, Yellowstone Standoff captures a moment of intense vitality between predator wolves and their bison prey set in the frozen dormancy of a high country winter. Limited edition of 25. Dimensions: 42" long by 8" deep by 12" high.